The Diamond Event, held on Thursday 10 August, raised over $605K at the dazzling Ivy Ballroom for the Australasian Centre for Personalised Cystic Fibrosis Medicine at Sydney Children’s Hospital, Randwick. More than 400 guests, including journalist Natarsha Belling and ambassador Mandy Steinberg, attended the event which was presented by VGI Partners. The Diamond Event has now raised more than $2.6 million for Sydney Children's Hospital, Randwick since its inception in 2010. One of the highlights from the evening was a heartfelt speech by Naomi Davey whose son Robert lives with Cystic Fibrosis. 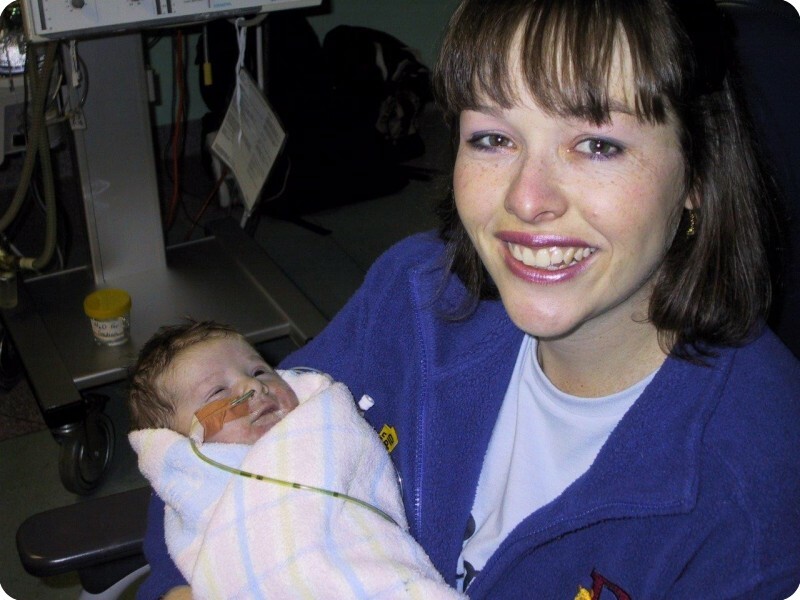 "On the 29th August, 2003 I was a 30 year old mother living in the Sutherland Shire with two healthy little girls. As a family, myself, my husband John and our daughters Holly and Charlotte were eagerly awaiting the arrival of a new baby. This child was to complete our family and so I aimed to enjoy the last days of an otherwise normal pregnancy. However, 24 hours later on 30th August, our lives were irrevocably changed. In the days leading up to Robbie’s arrival his movements had slowed and it was decided on the eve of his birth that it was time for him to appear. The reason for this urgency was that Robbie had developed a blocked bowel in utero and was at risk of dying. Never has a moment of supreme joy been contrasted with such utter devastation. Amongst the momentary euphoria of holding our first son, was the confronting reality that he was desperately sick. Robbie had surgery when he was just a day old and a blood test confirmed that he was in fact born with Cystic Fibrosis. His course in life was seemingly destined. Our lives and that of our children were changed forever. There were so many questions: What would life hold for him? How long would he live? Would anybody want to settle down with him? What made this diagnosis even more shocking was that Robbie is the 11th grandchild in my family and the 7th on my husband’s side. At no point had any genetic complication or illness presented amongst family members. There was no indication that the Delta 508 gene existed in both of our families. So, we took Robbie home after three weeks in hospital, and a broad education in all matters relating to CF. Our coping mechanism kicked in, and we resumed the usual chaos of family life while juggling endless appointments, understanding how to manage and administer medications how to give physiotherapy…basically how to live with CF. During this time of adjustment I took Robbie for a walk through Cronulla enjoying the sunshine and rare time alone with him. While I was in the mall I saw a stand run by CF NSW. They were selling craft items and pins and their table was covered with a banner that read, in large letters, “What would you do if your child died before you?” That is a statement that, as any parent would know, does not sit well with our understanding of the order of things. I looked down into the pram at my beautiful boy, who was oblivious about his future and was reminded of the full and confronting effects of my “new normal”. Now, as many of you may have experienced, when you face a shock or trauma in your life, there is this defining line. The life you led before the event and the life after. For us, life after diagnosis, while challenging, has also been filled with a lot of hope. In those very early days when we felt helpless and overwhelmed, there was the CF team at the Sydney Children’s Hospital in Randwick. An incredibly committed group of people who patiently taught us the ins and outs of caring for someone with a condition that has quite catastrophic effects on the body. Professionals who answered endless questions, consulted with each other on best practice, consoled us, celebrated small wins with us and most importantly provided the impetus to get on with life. The late Professor John Morton was the first CF doctor we met and he became our port in the storm. He assured us that Robbie had been born at a good time and he was particularly excited about developments on the horizon and the ever increasing knowledge of health professionals coming together to find a better way forward, a new path. I honestly feel, events like tonight, this opportunity to share our story, is that ‘good time’, that hope he was sharing with me. We have also shared this optimism with Robbie as he has grown. He turns 14 soon and he has dreams of becoming a nurse or a paramedic. He wants to help people like so many people have helped him. However, in order to reach these goals Robbie has lots of work to do, starting with staying well. What does this involve? An average day in Robbie’s life involves 3-4 inhaled medications via a nebuliser, chest physiotherapy, an array of tablets to keep his lungs free of bugs and every time he eats, taking enzymes to aid with digestion. For example, in order to eat his favourite meal at McDonalds, Robbie would need to swallow 10 tablets – and that’s just one meal. In addition Robbie, like many CF patients, struggles to maintain his weight, thus he has a peg in his stomach and every night while he sleeps, he has a litre of liquid nutrition delivered directly to his stomach. Then there are the hospital admissions for IV antibiotics 3-4 times a year for 2 – 3 weeks at a time. So what are the implications for living with CF? For Robbie, every day is like breathing through a straw. His lung capacity sits at around 50%. This makes keeping up with your mates really difficult at times, it means getting tired just carrying out normal, everyday activities. A plastic mechanism in your tummy makes getting changed for PE at school, or running around the beach shirtless an embarrassing prospect. It means managing your bowel health to avoid dangerous blockages which result in unexpected, emergency admissions. It means sometimes missing birthday parties or some of your school holidays to stay in hospital. It means packing a whole extra bag – just for medications and physio equipment when you go on holidays. It is never having a day off from treatment and wondering how long you’ll get out of hospital before you have to go back. As parents it’s lying in bed at night wondering whether that cough sounds like it might have changed, it’s watching your child suffer when you can’t fix it. It’s trying to juggle commitments to work and other family members while existing on limited sleep in a hospital ward. It also has implications for identity…we work hard at assuring Robbie that he is not defined by his condition. That he has no reason to try any less to reach for goals or to have aspirations. Occasionally there are bumps in the road that make him feel defeated or less than able but we push on and face each new challenge. Earlier this year Robbie initiated a very difficult discussion with us about his longevity. Aware that we had been meeting with the CF team, he wanted answers to the hard questions. With each passing year, he grows more aware of the circumstances surrounding his condition and the uncertainty that comes with lung function test. To sit with your child in that moment as they cry over the potential hardships ahead, knowing you don’t have all the answers yet to assist them in navigating their journey is beyond words. So what is left? Hope. We teach faith and hope in our home but these are often difficult concepts to grasp for children, particularly one who can feel weary. Tangible evidence is often what we all need in order to maintain the momentum to see the bigger picture. What would this look like for Robbie and all children with CF? It looks like the Bright Alliance and this exciting new research program. It is the tireless efforts and enthusiasm of doctors like Adam, John, Yvonne and their multidisciplinary teams. It is the clinic visit where the doctor can report about what they have achieved and discovered in terms Robbie can grasp. It is the bringing to life of an Avatar! What could possibly be more appealing to a young boy than that? The chance to have a program of medicine that has been tailored just for you is quite simply - a gift. Why? Because children like my son are important and individual. They have so much potential to offer the world and while they can look deceptively well they are in actual fact very sick. These children maintain endless regimes in order to reach that light on the horizon. And that’s what tonight is all about. Your support is essential, because if we could all work together to bring that horizon closer, then we really have embodied hope. It has been a privilege to share Robbie’s story with you, have a wonderful night."